So here's the ugly truth about not being an a-lister in mainstream country: you have no room for error. It doesn't matter if you have one bad song that strikes in the middle of a trend that would otherwise be excused, if that flops then your career is pretty much toast. A-listers in country... well, depending on their clout they've got a little more wiggle room, especially if they manage to correct their course and deliver another hit. But even if you have a grassroots following, if you're not a major star in an already oversaturated market, a flop single likely will consign you to the dustbin of history. And for the longest time, that's what everyone thought happened to Scotty McCreery - coming off of American Idol his major label debut moved over a million copies, and while his follow-up See You Tonight in 2013 was hedging his bets in the tide of bro-country, it still moved a lot of units... and on one of its deep cuts produced one of the best songs of the decade. Yeah, in case you're wondering why I'm bothering to cover this, 'Feel Good Summer Song' is the reason, a tremendously emotive and borderline subversive song that basically ripped the guts out of bro-country three years early! Why nobody bothered to release this as a single... well, if you take a look at Mercury Nashville's criminal failure to market any of their good artists worth a damn, I'm going to blame them. I'm also inclined to blame them for 'Southern Belle', that flop single that Scotty McCreery released in 2015 and for intents and purposes effectively killed his career, which led to him leaving the label and signing to Triple Tigers, a new country label built as a partnership between acclaimed indie distributors Thirty Tigers and Sony. And in comparison to his last effort, this looked to be a much more neotraditional affair, bolstered by the release of the pretty damn good 'Five More Minutes' and a much more streamlined production team. 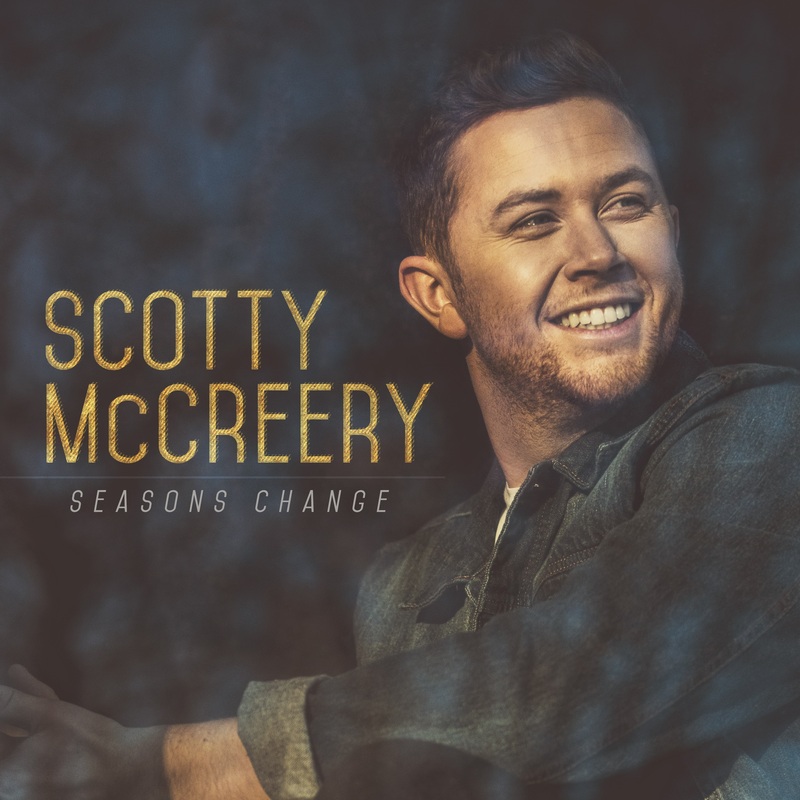 McCreery had writing credits on every song, he looked to be more in his comfort zone, and with 'Five More Minutes' suddenly becoming a hit, I had a fair amount going into this... so is Seasons Change the comeback story we've all been waiting for? Well, yes and no - and to be honest if it wasn't for the comeback story I wanted to mention, I probably would have put this on the Trailing Edge. Not because it's bad - far from it, I'd probably say this is Scotty McCreery's most consistently solid record to date and I see it having some real staying power - but at the same time the highs aren't quite as pronounced and that leaves this as arguably less interesting, even though it's doing a lot right. It's definitely a good record and one that I think will have mainstream staying power for him, but not one with the huge standout that I'll end up remembering years down the road. Actually, there's a more apt comparison that felt apparent after four or five listens through this record: fellow mainstream b-lister Jake Owen. And I don't mean that comparison negatively - I like both of these guys, I think they're both underrated by the larger establishment, they both have remarkably charismatic delivery that has saved questionable material time and time again, and they've both notched deep cuts that are leaps and bounds ahead of their competition. But it's hard not to feel like they both hedge their bets when it comes to their albums as a whole: they can write and perform genuinely passionate, occasionally challenging material, but they're just as comfortable if not moreso in lighter affairs that trend towards bro-country, or broader American archetypes that are pretty much elevated on presentation alone. And make no mistake, you can stick the landing with this material: 'Boys From Back Home' is quite literally reminiscing about hometown football games, and combined with how McCreery references sports on 'Five More Minutes' it's a good point of reference for him. And it helps that he can leverage his naturalistic sincerity on songs like 'This Is It' and 'Still', or even the kind of doofy 'Wrong Again' - it's certainly a better fit than the more pronounced meat-headed tendencies on 'Move It On Out'. But really the running theme on the songs that work is detail and fleshing out more of the story to elevate them above the archetypes - sure, it can trend towards list songs like 'In Between', but on the flipside you get the more melancholic 'Home In My Mind' which is a pretty conventional tour song that's elevated by the reality of his situation and how his imagination is going to have to fill in that blank, at least for now. Of course, the other important thing to mention here is the production and compositions, and the one area I feel McCreery has a decided advantage, because he pulls a hard right back towards more neotraditional pickups in pedal steel, real drums, and easing back on the obviously synthetic elements. And again, for me the challenge here is not just praising it for what it isn't - I sure as hell prefer these tones to whatever trap snares and gaudy synths Nashville is shoving in - but finding the songs that are indeed distinctive, and there's definitely a few of them here. I've already talked about 'Five More Minutes' on Billboard BREAKDOWN, but McCreery is one of the few mainstream acts who can use the choppier rollick in his guitar grooves without sounding like a genre concession, mostly through a better sense of dynamics and smart layering on a song like 'Boys From Back Home', or how well the bass is balanced against the supple layering on 'This Is It' and 'Still', even if that song along with 'Wherever You Are' has these fizzy fragments that feel a tad too slick to mix well with his tonal choice. And then you get a cut like 'Home In My Mind' that might as well be a mid-2000s Tim McGraw cut in its great midtempo balance saturated with pedal steel, or how well the horns are micced on 'Barefootin' that might not be the smartest or a complete step into a countrypolitan sound, but it's still pretty likable. If I do have a concern with this, it comes most in composition: aside from melody lines that don't vary quite as much as they should, one thing you notice is how so many of the hooks end on minor notes or chords, and I'm not sure it's the best choice, especially when the content doesn't really require a melancholic note. It makes the record feel a shade more downbeat than it needs to, and when you consider how midtempo and reserved it can feel overall, it could have afforded a little more brightness... or on the flip side actually take some chances with the subject matter and get darker. But as a whole... I'm not going to say this was a safe comeback for Scotty McCreery, so much as any pivot away from pop flies in the face of the Nashville songwriting machine these days, but it wasn't really one that surprised me. And really, the more listens I gave it the more I'm convinced there's very little outright wrong with it: McCreery is a great performer, the tonal balance is as good as you'll get in mainstream country, and the songwriting while a tad conventional never slips towards embarrassing. Fans will certainly be satisfied, and if the single choices are smart I can see McCreery regaining a lot of groundswell in the industry... but it also does feel a tad transitional and I find myself wishing McCreery at least included some deep cuts that took more of a chance, either in production or songwriting. For me, though, it's a very light 7/10, definitely recommended especially for mainstream country fans looking for an easy summer record, and one that's certainly a cut of quality above his competition. Can't promise it'll stick with you a great deal, but you'll probably dig it - check it out.